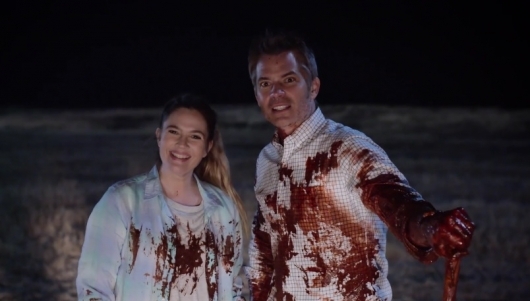 Netflix has released the first trailer for Santa Clarita Diet, a new series starring Drew Barrymore and Timothy Olyphant that offers a comedic twist on zombies. In the show, Barrymore’s character finds herself undead. But she doesn’t look like a zombie; she looks like she’s always looked. She feels like she’s always felt—better, even! All is pretty much the same as it’s always been…except for her eating habits. Now all she wants to eat is other people. You can read more about Santa Clarita Diet and check out the trailer below. Also starring in the show is Skyler Gisondo and Liv Hewson, with appearances by Thomas Lennon, Patton Oswalt, and Nathan Fillion. All episodes of Santa Clarita Diet arrive on Netflix on February 3rd.